Instagram is the platform on which the most followed tendencies are focused, something that is also transferred to the political sphere, which makes this network more and more important. As it grows, so does the importance given by politicians to communication strategies. Instagram has become the fastest growing social network among world leaders, governments and foreign ministers. 81% of the 193 UN member states are active on the platform. This is due to the different functionalities offered by the platform, which makes communication with the public more visual. This is boosted by the generation of content that is attractive to the public, but maintaining the balance with a type of content that is both spontaneous and fresh. Instagram Stories consists of an immersive and creative format, used by 500 million users per day, which allows image (in full screen format), along with video, text, stickers, emojis, and GIFs, among many other functions. We also find different camera effects. The life of the Stories is 24h, but Instagram allows you to add the Stories to a repository within the profile itself, organized to the taste of the user. This allows you to enjoy the content after the publication date. 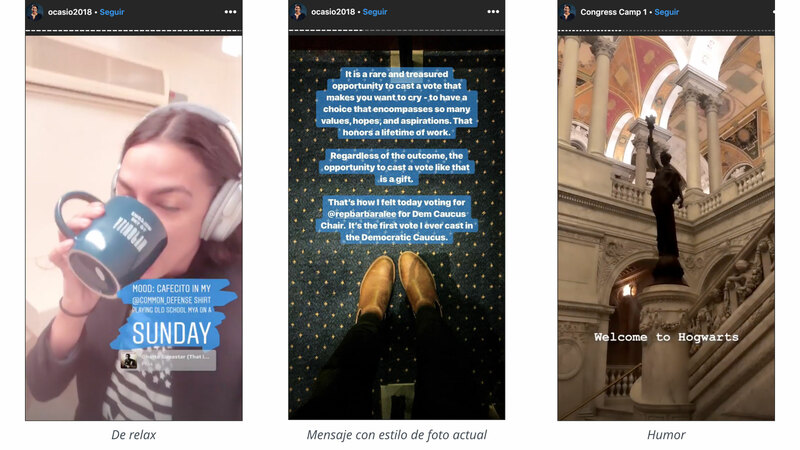 The best example and one of the most discussed today is that of Alexandria Ocasio-Cortez, who is breaking the molds in terms of communication within the U.S. Congress, linked to a very different type of communication that has existed previously. Known for her live videos in which she makes Q&A while dining, for her use of different IG Stories filters, or for the naturalness she shows when going to the laundry while talking to users. 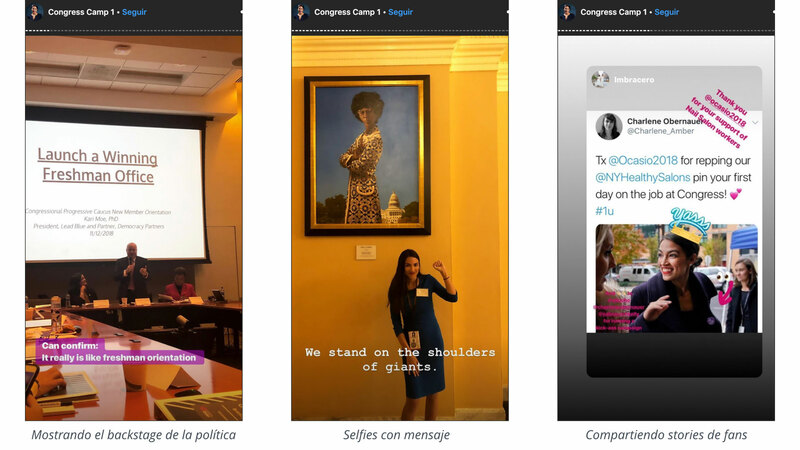 Instagram Stories helps the profile of the politician to become influenced by this type of action, which makes us talk more and more about a merging of scenarios in which the way of communicating goes beyond what has been established so far. It is also a relatively safe format for politicians, as no one can comment publicly on the content, protecting them from any negative comments or feedback. Video has a huge presence when it comes to generating content, so much of the trends we find have as their central axis, mainly focused on content for Stories Instagram. This allows us to show an unknown side of the political profile, thus enhancing other aspects of the personality. 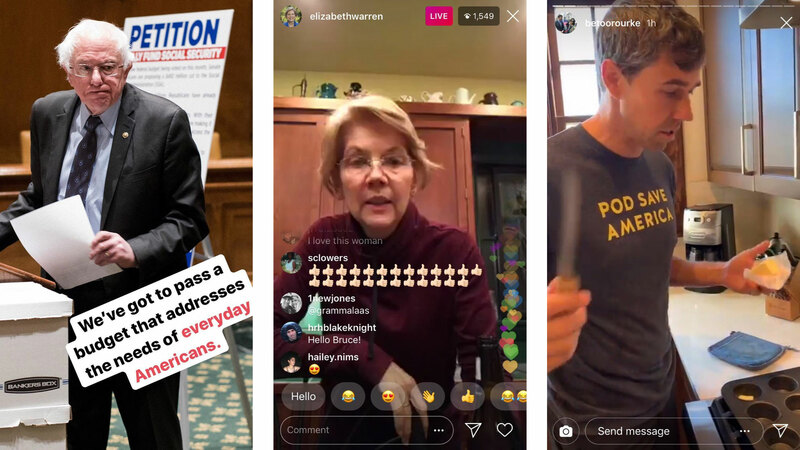 The key to the Instagram Stories format is that it allows you to show a more everyday and natural facet of politicians, carrying out all kinds of activities. Stories offers the possibility of reporting in a way that is not monotonous or linear, which makes the content more spontaneous and entertaining nuances than those generated in other platforms. This also serves to see how different personalities of the political panorama are resorting to tools such as Stories, from beginner profiles to those more expert. What is certain is that it is the new generations that are in charge of paving the way in this new context of networks and political communication. 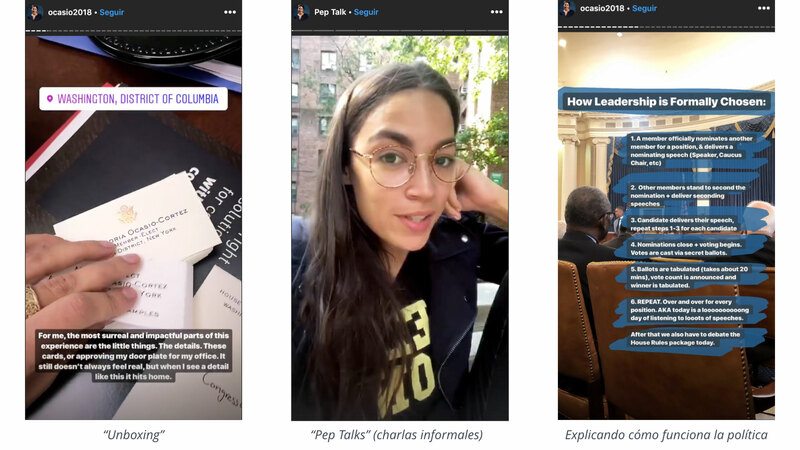 Instagram Stories has become a main channel where political leaders meet, greet and label each other. It is useful to follow these accounts to get a clearer picture of what they are doing at international conferences and summits. Regardless of the age of the politician, we are seeing how the use being made in this context tries to assimilate into the more Millennial aspect of the platform. 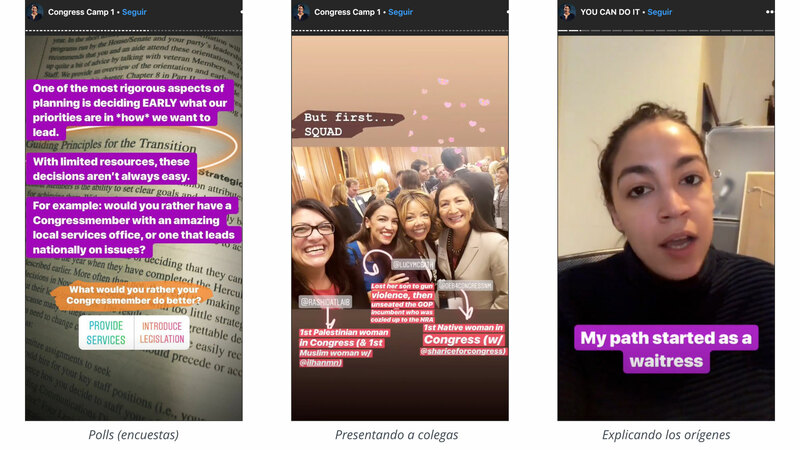 And like these, leaders and government officials upload photos showing their lives beyond politics, using the full range of Instagram options, including emojis, stickers and live videos. Other examples that follow this line of authenticity are the Democrat Beto O'Rourke, who shows a facet that goes beyond politics, as for example through the videos in which he cooks with his family; or the live videos of Senator Elizabeth Warren Democrat behind the scenes during their rallies or answering questions from home; or Senator Bernie Sanders who at 78 years old continues to surprise, also in Instagram. In order for Instagram Stories to have the greatest impact, it is important to have a clear objective. It is especially useful to add relevant hashtags, a location, as well as to tag other users in the Stories, which will allow them to share them in their IG profiles. We see how the use varies according to the needs: from profiles that take advantage to maintain a more spontaneous content, others that prefer to show the more institutional facet, and others that maintain a balance between both. For all these reasons, it will be interesting to see how the full potential of Stories continues to be exploited in the near future.